Today, Let us talk about general Introduction of Chinese Mandarin. The Chinese language contains over 20,000 characters, from which only 10,000 are commonly used. If you want to totally understand the language, at least when it comes to reading of course, you have to learn Chinese characters. The Chinese language is one of the most historical and fascinating, but complicated languages in the world. More than 1 billion people living in China, not calculated the overseas Chinese, Hong Kong, Taiwan, Singapore, parts of Malaysia and other high concentrations of Chinese people which makes Chinese the most spoken language on earth by far. It is known for being indirect or to understate meanings. This indirectness is attributed to a cultural trait, older than the language itself. Chinese is distinguished for its high level of internal diversity. The Chinese language is really very beautiful. I would recommend it to many people. It is constantly evolving and there is an infinite number of words that can emerge through the combinations of the 214 elementary pictographs called Chinese radicals. Alternatively, a new word can be formed by combining two or more radicals.As I posted the “how to learn the most common chinese mandarin characters“,It is useful and funny when you get the skill to combine and separate the word. The Chinese language is one of the oldest languages in the world, its earliest written records going as far back as more than 3,000 years ago. During this long period of time, Chinese has seen constant development, but its grammar, vocabulary and writing system have mostly retained their basic features.It is very famous of Chinese Poems, particular in Tang poems. It is integrated the Chinese language art and culture. The Chinese language is gender neutral, unlike a Latin based language like French, so it s simpler from that standpoint. Unlike English, where one might say, I will eat, I ate, or I have eaten, in Chinese one would say, Wo chi (which means I eat ) plus the time phrases, today, later, tomorrow, etc. The Chinese language is written in characters, each of which consists of one, up to dozens of strokes, and a phrase or sentence can be made of several characters. Since the characters are much shorter than the corresponding English words, a Chinese translated version always takes much less space than the English original. Chinese can be though of as a tool, without which the Chinese could not do, even for a moment in their daily life and work. If a person s knowledge about the Chinese language is not up to a certain standard, if he or she cannot speak distinctly and fluently, or what he or she writes does not read smoothly, then the effect on that person as a Chinese is all weather and all directional, so the influence is obviously far greater than that of English. Mandarin is the cream of the crop, spoken by more than 50 percent of the huge Chinese population and serving as the official language of the People s Republic of China, Taiwan and Hong Kong. It is also the second official language of Singapore. Mandarin is good for learning other Asian languages similarly to how Latin is good for learning Western ones. The Asian languages, especially written Japanese, are highly influenced by it already. Mandarin is the most widely spoken of the Chinese language and can be a bit difficult to learn, but there are many sites online that can help get you started. 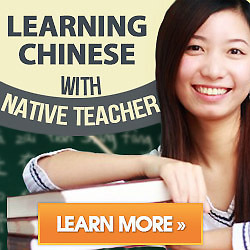 Touchchinese is a world premier online 1-on-1 live Chinese Mandarin language training center http://www.touchchinese.com — a site that is dedicated to helping people learn Chinese anywhere and anytime.